Discussion in 'TalkCeltic News' started by V For Vendetta, Apr 3, 2019. Celtic came into this match without Kieran Tienery and Dedrick Boyata who both went off injured against Rangers on Sunday. There was much talk before this game that Marvin the hun stomper Compper would be making his much anticipated Celtic league debut following his move from RB Leipzig 2 years ago, those reports were of course false as the German was spotted walking his pet cat instead. Jozo Simunovic lined up alongside the ever improving Kris Ajer who for me and many was man of the match on Sunday, the Norwegian is growing into the player that many people had hoped he would become. Also starting was Timo Weah, the young American has impressed many fans with his passion and ability during his loan spell so far. There was no place in the 18 for Jonny Hayes, which i found disappointing considering he was very impressive during his 45 min against Rangers. St Mirren manager Oran Kearney mentioned prior to the match that he would be selecting a side with the more important match away to Hamilton on Saturday in mind, and with that he did indeed make a number of changes as St Mirren lined up with a number of squad players such as James Kellermann who hadn't even made an appearance this season up until tonight, a big chance for him and a number of St Mirren players to make them selves hero's. St Mirren set up in a 532/352 and aimed to stay compact hitting Celtic on the break, it also meant that Celtic's ageing full backs would be needed tonight offensively more than ever to help create overloads out wide so Celtic don't get stuck in the final third. Celtic set up in a 4-3-3 with Burke down the centre with Weah and Forrest on the flanks, there was sure to be some positional rotation through out between the three forwards as Celtic would have to be imaginative in order to break through what looked a compact St Mirren team. The game started and straight away Celtic dominated possession moving the ball about trying to find a * in St Mirren's armour. Forrest won a free kick out wide and this gave Celtic an early opportunity to test St Mirren but the ball in from Emilio Izagurrie wasn't great. Kris Ajer had Celtic's first real chance when he shot over inside the box early after a lovely ball was played to him on his stride by Callum McGregor, it was a sign of things to come for St Mirren. A series of niggling fouls from both sides disrupted the games flow but it didn't take long for Celtic to take the lead on the 15th minute mark, some good Celtic passing from the back saw Celtic create an overload on the right hand side with both Forrest and Lustig in good positions, Lustig received the ball on the overlap and fired it towards goal with the keeper saving it and the ball flicking up into the air Timo Weah flew in and met it with his head, the Americans header hit the bar and bounced on the line before a scramble saw the ball cleared but referee decided the ball had crossed the line and Celtic took the lead, it was an excellent decision from the officials as the ball had crossed the line. It was the start Celtic and Weah craved with the American then picking the ball up in St Mirren's half and beating two men before being pulled back giving Celtic another good chance with a set play which they again wasted. Confidence was flowing from Celtic and Oli Burke should of really made it 2 shortly after the 18th minute when more good passing out from the back from Celtic saw James Forrest and Callum McGregor link up well with Forrest getting by his man on the right and playing the ball into Oli Burke inside the St Mirren penalty area but the Scotsman dragged his shot wide. It was all Celtic with St Mirren unable to hold onto the ball in any area and constantly fouling Celtic inside there own half. Timo Weah once again went on a mazy run as he picked the ball up wide left and drove at the St Mirren backline beating 3 men and got to the byline only to see the penalty area was completely empty of Celtic jerseys?? ?, anyhow he won a corner for Celtic which was met by Lustig who fired it into the stands. Timo Weah had started the game superbly and it was great to see the American playing with a smile on his face. Some neat link up play between Lustig, Burke and Forrest saw Burke get in behind the St Mirren defence on the right but looking up he once again saw a grand total of zero Celtic bodies in the box, this is something i feel we really need to work on and something we miss with Christie out injured, Brown McGregor and Ntcham are all deeper sitting players and don't really gamble inside the box with late runs, that being said Celtic were absolutely butchering St Mirren down the flanks and the buddies just couldn't get into the game. Emilio Izagurrie was the next Celtic player to get by his man down the flanks, he beat two men with a lovely nutmeg and fired the ball towards goal with the keeper parrying it up into the air, what happened next was utterly * with Kellermann completely mis-judging the flight of the ball and it hit his hand giving Celtic a penalty out of absolutely nothing. Oli Ntcham stepped up to take the spot kick and did one of those * stupid stutter run up's and the keeper did the right thing and didn't move which forced Ntcham to hit the ball poorly to his right and the St Mirren keeper saved well, Ntcham managed to get to the rebound but hit the bar. Off topic i personally cant see Ntcham being here for next season, the Frenchman looks completely disinterested and is very slow and lethargic in his movements something that is so frustrating considering he can be a really good player when he wants to be. Celtic remained in complete control of the game passing the ball around with absolute ease before getting into the St Mirren half were the home side were set in in a deep block which in truth wasn't working to well as Celtic got in behind out wide time and time again, Timo Weah and Oli Burke played a good 1-2 on the edge of the area with the American going clean through but his touch let him down. Half time came and it was Celtic 1-0 St Mirren, a half Celtic completely dominated with the Hoops having 8 shots to St Mirren's 1 and a massive 79% possession, would this come back to haunt them? Unlikely but you never no. The second half carried on from the first with Celtic utterly dominant, Oliver Burke was having a good game as the lone forward and found him self looking down upon goal once more after some more good Celtic play but his shot was well saved, McGregor then had a good effort from range following a cleared cross. 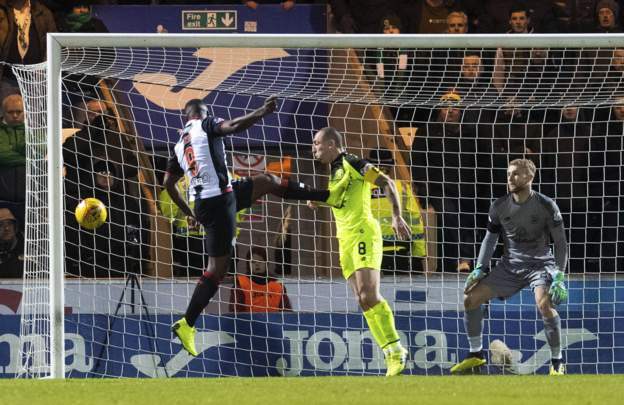 St Mirren reminded Celtic that they were in a match when a long ball forward once again bypassed Jozo Simunovic and Cooke hit a decent long range effort which forced Bain into a good save at the expense of a corner. The corner came in and St Mirren won the first contact with Nazon winning the 2nd contact but putting it wide, a wake up call for the Hoops. St Mirren began getting a foot hold in the game with the buddies leaving both Cooke and Nazon up front at all times which gave them good chances to counter when they won the ball back, Jozo Simunovic in particular was guilty of giving away some sloppy fouls up agains the St Mirren forwards when they broke. St Mirren then had there best chance of the match when Brown fouled Kellermann in the middle of the park, a quick free kick saw Nazon go clean through on goal but a poor touch, a Lustig slide tackle and some good keeping from Bain saw the St Mirren forward fluff the chance, Celtic were being extremely sloppy with and without the ball much to Lennon's frustration. The 60 minute mark came and Oli Ntcham passed the ball out of play when looking for Weah, the Frenchman had looked poor all evening truth be told following his penalty miss, he seemed to be playing the game 3 levels slower than everyone else and not in a good way, at that Lennon looked towards his bench with Rogic, Christie and Edouard all viable options. It was indeed Ryan Christie who came on for Ntcham on the 63rd minute. Stephen McGinn also made way for St Mirren with Brad Lyons replacing him. 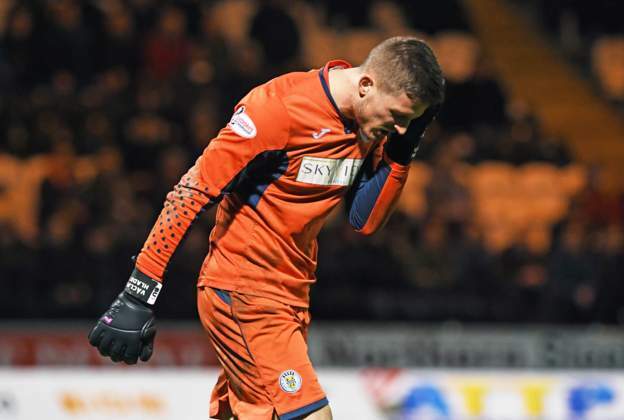 Oli Burke and James Forrest linked up well again wide right with Forrest playing the ball to Christie inside the area, Christie managed to toe poke a decent effort towards goal but once again he found the St Mirren goalkeeper more than a match. Some more tasty tackles and events happened in and around the 70th minute mark with Ajer getting booked for a poor tackle and both Brown and Nazon arguably lucky not to be sent off for a stamp and elbow respectively. Fillip Benkovic came on for Mika Lustig while Simione Jackson came on for Duck Nazon as both sides looked to change things up a little. The final 15 minutes were upon us and it was still an edgy game which it really shouldn't of been, Ryan Christie's introduction had injected some much needed life in Celtic's play but truth be told Celtic were still moving the ball far to slowly and allowing St Mirren to sit back and make Celtic's life difficult, Kris Ajer was trying to step inside and bring the ball forward were possible but even that was rarity with St Mirren's forwards blocking the route off. Odsonne Edouard then came on for Timo Weah just before the 80th minute, the American had a brilliant first half and hopefully we will see more of him in the coming weeks. We entered the final 10 minutes and Odsonne Edouard burst forward beating a couple of players with some silky step overs before his shot was blocked. Jozo Simunovic was finally booked in the 83rd minute after his 3rd foul for being to tight to his man. 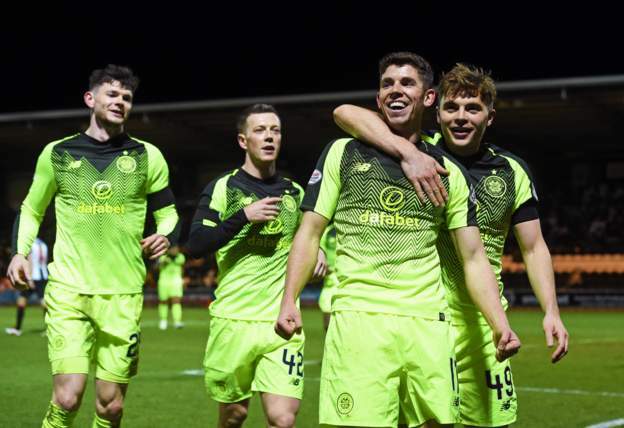 It was a nervy ending for Celtic but they finally finished the game when Ryan Christie fired home on the 85th minute. Celtic moved the ball well across the St Mirren box before the ball found its way to Ryan Christie on the edge of the box, a good false run from Callum McGregor saw him drag a man away which meant Christie could fire home from the edge of the box. It was a goal that Christie and Celtic deserved. St Mirren responded well with some neat play down the left and a good ball across the box was cleared by Jozo Simunovic, St Mirren met the rebound but Christie cleared the ball off the line and preserved Celtic's two goal lead. Very little happened after that with Celtic holding onto the ball with no real attacking purpose while St Mirren tried break where possible but to no avail. The full time whistle came and Celtic were 2-0 victors, truth be told it was a very dominant Celtic performance with a number of good individual performances, but the 2 goal win was an unsatisfactory result in many respects after it looked like Celtic would go on and win by 5 or 6 after a fast start. Credit to St Mirren who made a real game of it in the second half with what was a 2nd string team. 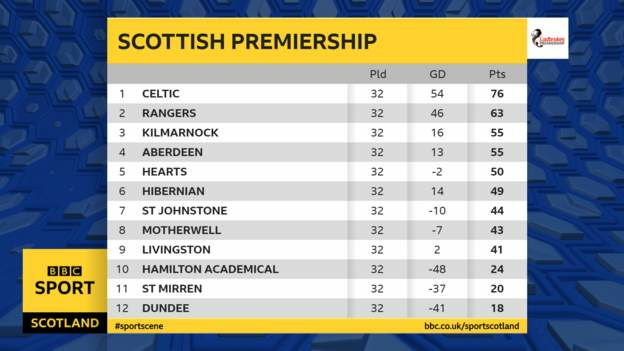 Neil Lennon looked frustrated towards the end of the game which is understandable, the man is fighting to keep the job full time but we just cant seem to kill teams off, a lack of bodies in the box and slow play is a massive contribution to that. 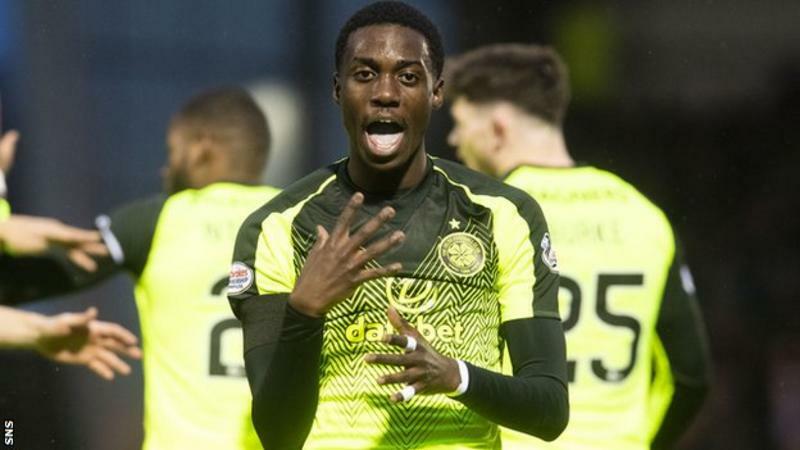 However Celtic are now two wins away from their 8th league title in a row, next up for the Hoops is a home game against Livingston on Saturday (3pm KO - Celtic TV), I think I speak for a lot of Celtic fans when i say I would love to see more of Weah the young American was excellent in the first half tonight, credit to Izzy who played well this evening and also Ryan Christie who was excellent when he came on. We could see some retrospective action against Scott Brown and also Duck Nazon, while Celtic fans threw a fire cracker on the pitch which blew up near the St Mirren goal keeper after the 2nd goal, the keeper got an ear ache but expect to see that in the news tomorrow as an organised IRA attack and a threat to Scottish football. Marie, The Prof and KRS-1888 like this.